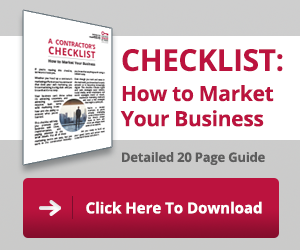 Most contracting business owners and salespeople hate those slow times when the phone isn’t ringing despite having spent a lot of money on advertising, websites, or home shows. In order to have a steady flow of leads, you have to have a plan with specific goals, a process and consistent execution of a lead generation program. 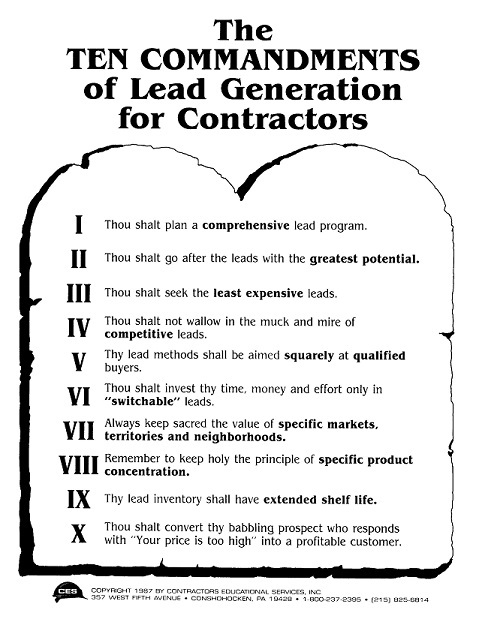 In other words, you need to follow the CCN Ten Commandments of Lead Generation. One of the simplest, easy, most cost effective type of leads you can get into your business are those that are self-generated. No…not the ones you pay a lot of money for and then wait for the phone to ring. We’re talking about that dirty word that contractors hate: Canvassing! But canvassing is not just about knocking on doors – that’s what most think. It’s also about how to work home shows or other events successfully because the principles and techniques of working home shows is the same as canvassing. Canvassed leads are usually non-competitive ones. They haven’t even picked up the phone yet and maybe don’t even know they need to! Canvassing is the most predictable means of getting leads into your business that you can switch on and off as needed. Once you start with it though, you won’t want to turn it off! Starting a canvassing program in your contracting business can have immediate results, but to make it really successful, you have to have the infrastructure in place to support it. That’s what the “Lead Development: Face-to-Face Marketing” is all about. This 2 ½ day program is specifically for company owners, and marketing or sales managers to help you get everything in place that you need to create and manage a successful canvassing program. 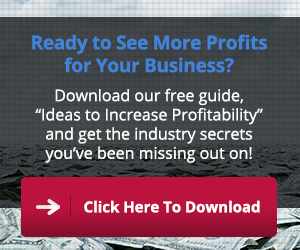 If you really want to grow your business by bringing in a steady stream of leads throughout the year, then you won’t want to miss this boot camp. 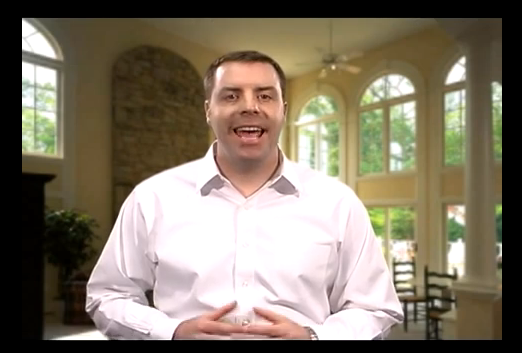 What you’ll learn meets ALL of the Richard Kaller Ten Commandments of Lead Generation. And the best way to get started is to replicate what others have successfully done.